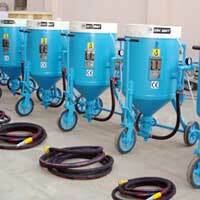 We are one of the most preferred Sand Blasting Machine Suppliers in the nationwide market. The Sand Blasting Machines we provide for cleaning and finishing of various small and large components. We acquire Sand Blasting Machines from the most trustworthy manufacturers and vendors across the nation. 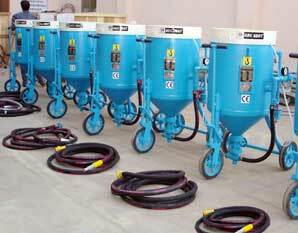 We provide Sand Blasting Machines in ready to use condition that can be easily installed at your manufacturing set up.